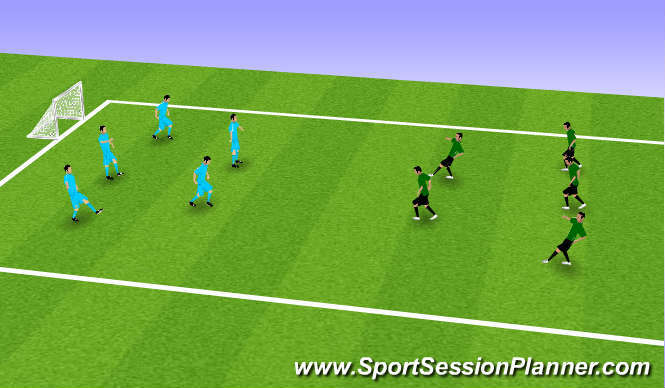 Freegame play, must score through the goals (x2) per team. Evaluated & use open questions to the players, recaping on previous session. ABC is included within the game. - Recive on the ball foot. 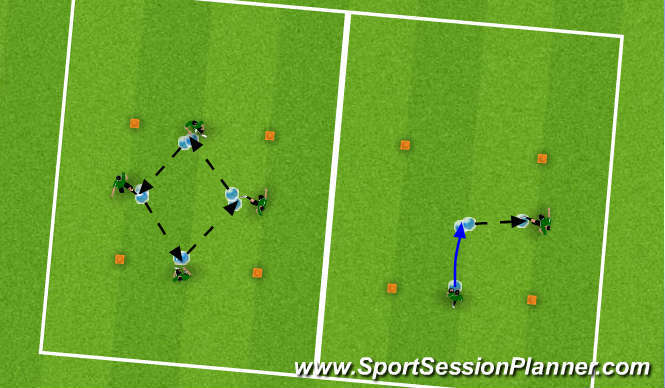 - Progress to change direction & follow the pass. 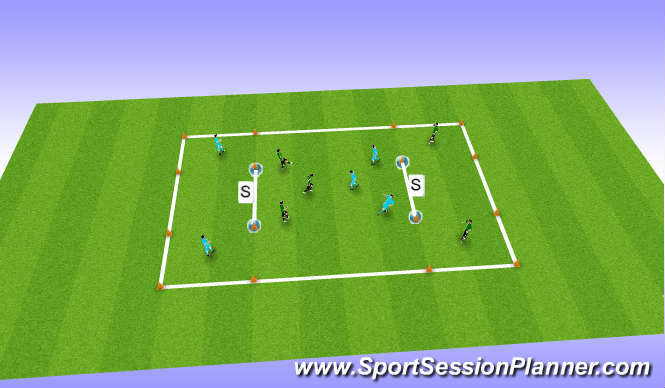 - Can repeat process pushing the ball into the box & play ball with outside of foot. ABC are used within the practice. The session must funtion as a team, otherwise it will break down. S - Start point for ball team to attack. - once scored a pass you rotate with the target man. ABC demands for out field (3v3) & target players. Team work to pass, set & move for eachother. Game scenario, using the information learnt from parts 2 & 3. Look to recap on game related situations.